These small blocks are an interesting size. 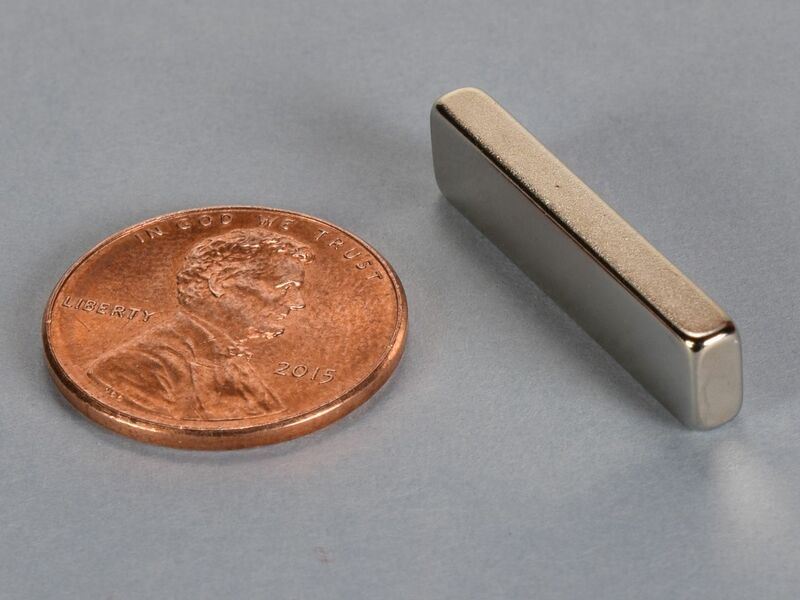 Unlike many of our block shapes, they are NOT magnetized through their thinnest dimension. They are magnetized through the 1/4" direction. 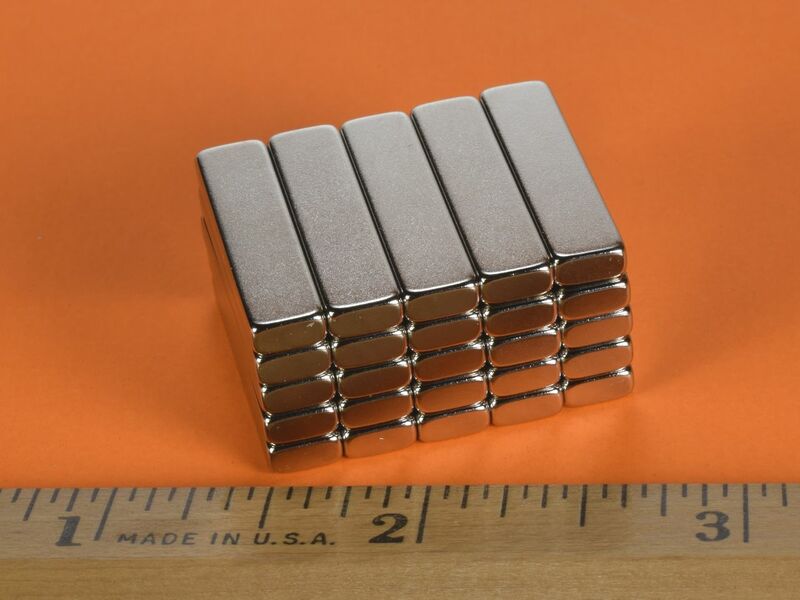 In other words, the north and south poles of this magnet are located on the 1" x 1/8" faces. 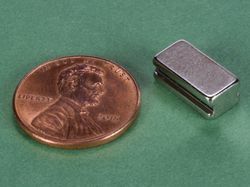 Looking for magnets this size with the poles on the big 1" x 1/4" faces? 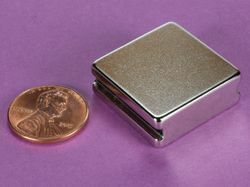 See the BX042 magnet. They are incredibly strong for their size and are useful for many applications.